If you haven’t heard of our play trays then you need to check out the preschool activity trays and then join us on creating some of these kids play time savers, boredom busters, quiet boxes … yeah, they are just that AMAZING and fulfill multiple purposes in our house. Please note that affiliate links are used in this post. That means if you purchase from one of these links I will make a small commission from your sale. 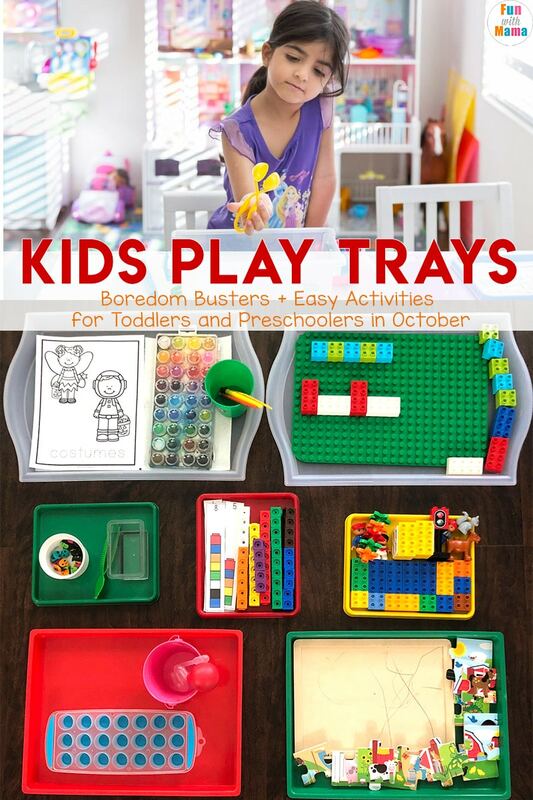 I will be updating this post to include the rest of our October Play Trays so keep an eye out for it. 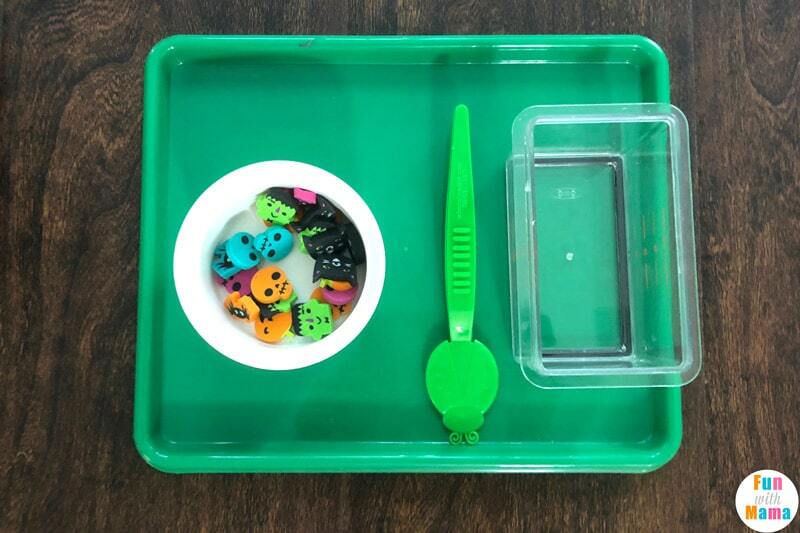 Before we get started make sure you join our Play Trays Facebook Group and whenever you share a play tray on Instagram use #playtraysfwm to share with our community. 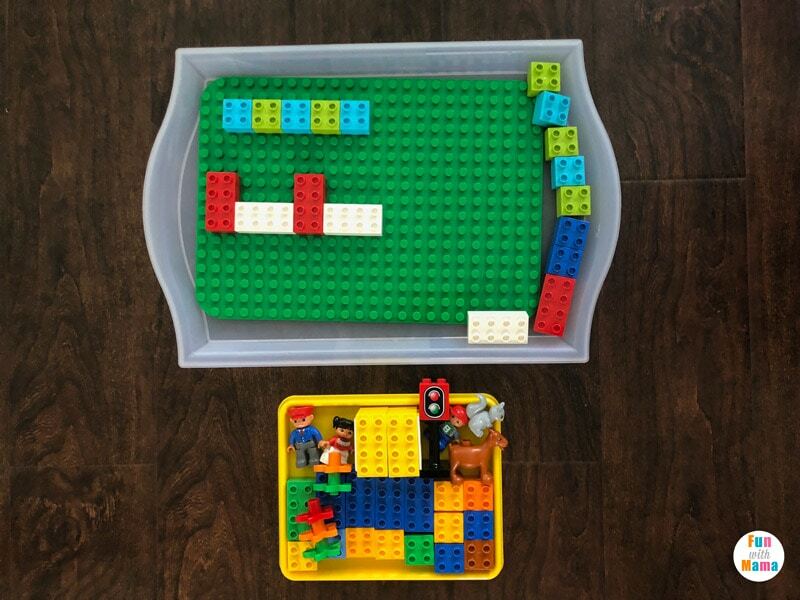 I will be posting more about our weekly Play Trays on the Fun With Mama Instagram Stories and profile. 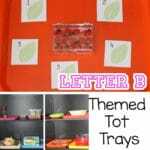 You can watch the video below if you prefer a video format to see what is in each tray. 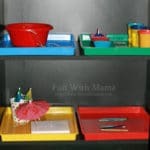 The trays you see below are from Ikea and Lakeshore Learning. 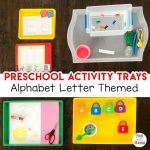 If you prefer ordering from Amazon then these trays are similar and the Ikea trays can be found here too. A 12 piece Melissa & Doug Puzzle. I am trying to work on getting my daughter to feel more confident with puzzles. She often wants my help so I figured placing it in a tray will get her more interested in trying to put them together herself. She was easily able to do the 12 pieces but she always feels overwhelmed by the 24 piece puzzles we have. 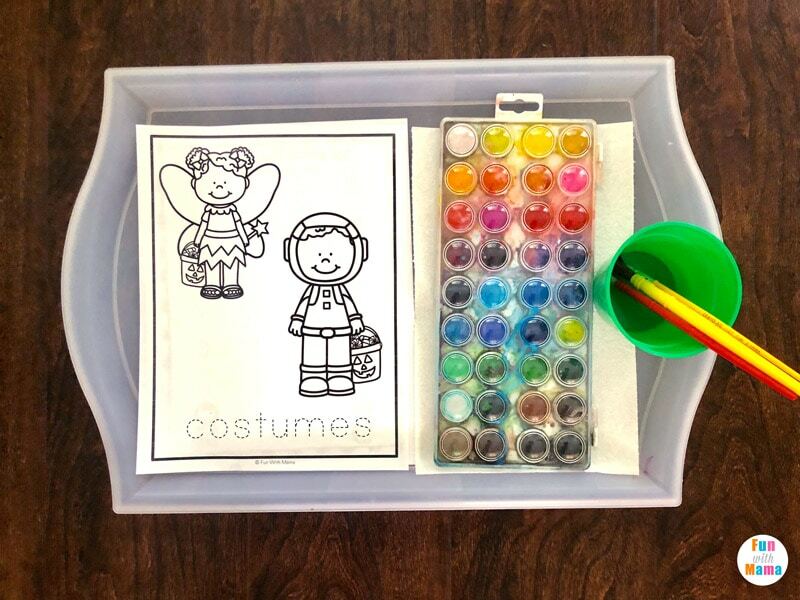 I printed out a few coloring pages from our Halloween Activities For Preschoolers, added in some watercolors, a paper towel, paintbrushes of varying sizes and an empty cup. She can either go and add the water herself when I give her the tray or I can add it before putting it on her table. 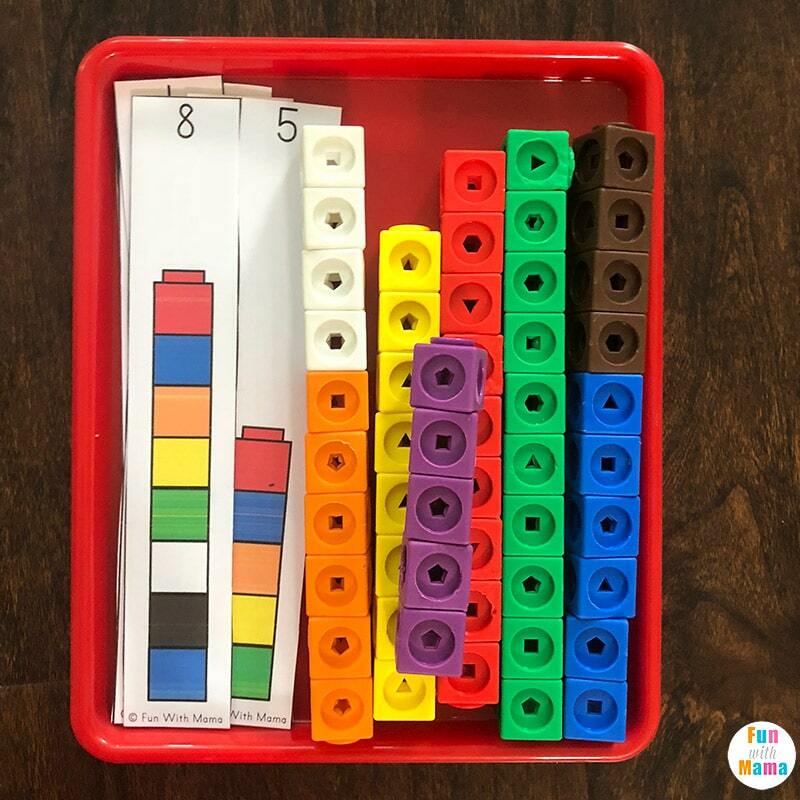 Here I placed some Unifix cubes on the tray with some counting and number cards. 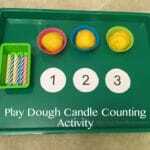 This is an early preschool math activity that my daughter really enjoyed. You can find the printable cards here: Unifix Cubes For Preschool Math. What were your play trays like this week? 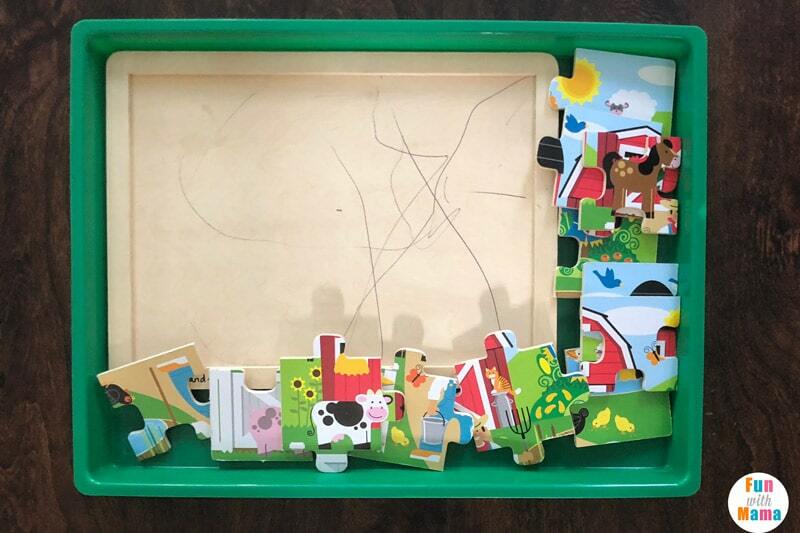 Have you ever tried creating a play tray?